This october morning was met with brisk fall weather. Hazy blue skies overhead and blazing autumn colours around. 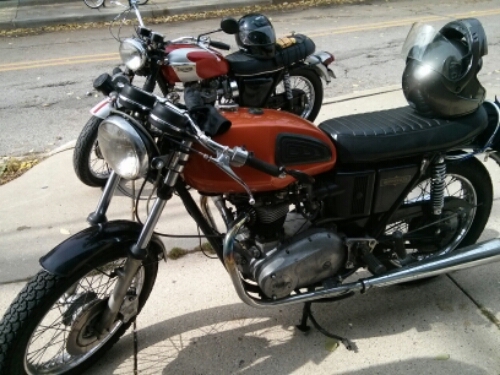 We took the Triumphs out for a spin north on fairly quiet roads stopping at a diner in Lake Bluff for coffee and pancakes. 50 miles in all and bike runs like a top.